The collection of 50 short video documentaries showcases individual Americans reading and speaking personally about poems they love. The videos have been regular features on PBS's NewsHour with Jim Lehrer and are a permanent part of the Library of Congress archive of recorded poetry and literature. They have also proven valuable as teaching and learning tools for a range of classrooms and ages. The videos may be viewed on this website. The video collection is also available in DVD format, packaged with the anthology An Invitation to Poetry. The selections in this anthology, the first of the series, cross oceans and eras, placing ancient poems alongside contemporary poems and offering many poems in translation. Moving, amusing and insightful letters from readers accompany each poem. This second anthology emphasizes the pleasure of reading poems. The poems are arranged into chapters that represent some aspect of a life—such as youth, darkness, passion and art. 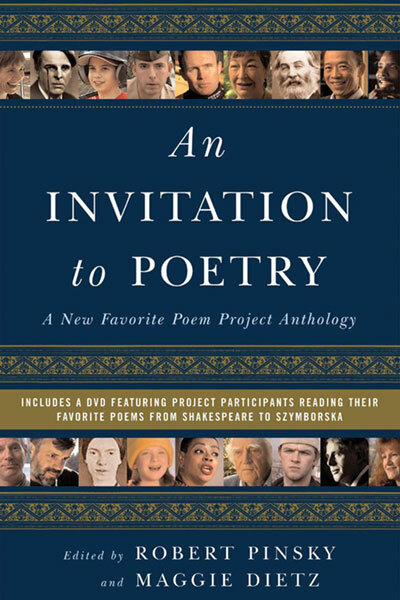 Many of the poems are accompanied by comments from participants in the Favorite Poem Project. The third of the project's anthologies. The people in the videos, along with the letters and poems in the book, extend a welcoming invitation to rediscover the joy of reading poems. There is also a paperback textbook edition of the book/DVD, created especially for introduction to poetry classes at high school and college levels, with a comprehensive classroom guide provided free to teachers who adopt the book for a course. 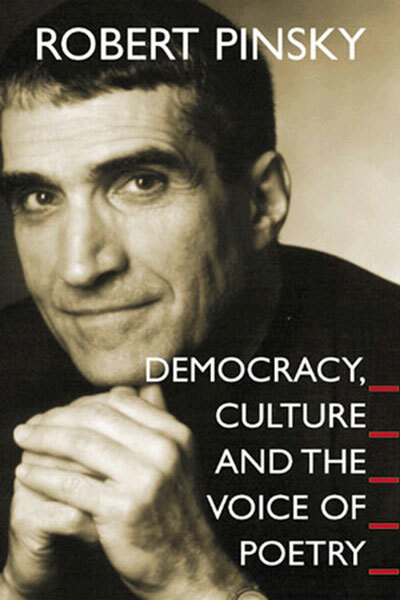 The response to the Favorite Poem Project demonstrates the significance of poetry to contemporary Americans; this book, based on Robert Pinsky’s Tanner Lectures at Princeton University, reflects on the project as evidence of the relation between democratic culture and the art of poetry. The Favorite Poem Project's archives— including original letters, e-mail printouts, and both raw and edited versions of audio and video recordings—are housed at Boston University's Howard Gotlieb Archival Research Center. These materials, along with the project's database of nearly 25,000 letters written by American readers, have already proven useful to scholars and researchers, as we hope they will in the future. In addition, final versions of the fifty Favorite Poem Project videos (those available for viewing on this site) are also kept at the Library of Congress Archive of Recorded Poetry & Literature. In addition to creating these collections, the Favorite Poem Project has been dedicated to strengthening communities through the art of poetry and has developed successful programs for libraries, communities and schools. The project has inspired hundreds of Favorite Poem readings in cities and towns across the country. These readings gather individuals from different corners of a single community to share their favorite poems with each other, revealing personal ties to specific poems. One of the pleasant surprises of the project has been how beneficial these readings seem to be for the communities that host them. If you are interested in organizing an event in your community, check out our tips. 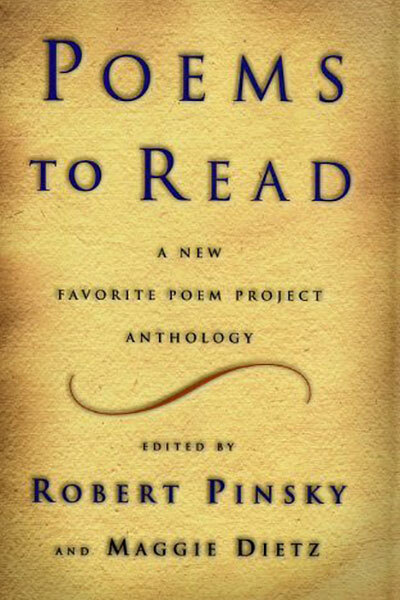 Robert Pinsky believes that poetry is a vocal art, an art meant to be read aloud. "If a poem is written well, it was written with a poet's voice and for a voice," he says. "Reading a poem silently instead of saying a poem is like the difference between staring at sheet music or actually humming or playing the music on an instrument." In more than thirty years of teaching poetry, Pinsky has emphasized the bodily, vocal experience of poetry. He long ago found that when he asks students to read aloud and talk about a poem they love something remarkable happens — a discernable change in their faces and voices that demonstrates their connection to the poem. The Favorite Poem Project grew out of that discovery. "There is a special comfort and excitement people get from saying aloud words with a certain sound, in a certain order," says Pinsky. "By reading poems we love aloud, we can learn how much pleasure there can be in the sounds of words. It's as though saying the words of a poem aloud make one feel more able, more capable than in ordinary life. You can concentrate on the physical sounds of the words to a point where they give you an emotional or an intellectual relief. You enter a different state." The reader of a poem, too, need not be the poet or a skilled performer. "One of the beautiful things about poetry," says Pinsky, "is that the medium is the human body and its voice, but not necessarily the artist's body. When you say a poem aloud by William Shakespeare, Emily Dickinson or Langston Hughes, your voice is the artist's medium." The project is also founded upon Pinsky's belief that, contrary to stereotype, Americans do read poetry; that the audience for poetry is not limited to professors and college students; and that there are many people for whom particular poems have profound, personal meaning. When he began the project, Pinsky had a hunch that poetry already had a vigorous presence in American life. The project has sought to document that presence, giving voice to the American audience for poetry. 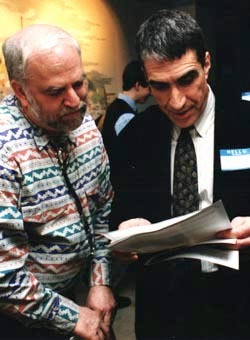 In April 1998, the project saw its official launch with a series of public poetry readings introduced by Robert Pinsky. The five-city launch tour included New York, Washington D.C., Boston, Saint Louis, and Los Angeles. 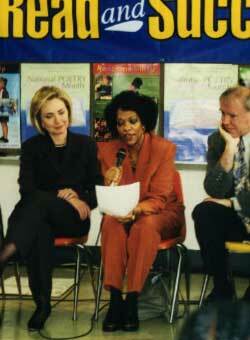 On April 22, 1998, President and Mrs. Clinton hosted U.S. poet laureate Robert Pinsky and former poets laureate Robert Hass and Rita Dove at the White House to celebrate America's rich heritage of poetry. 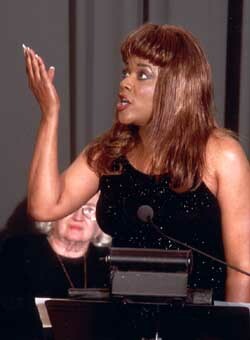 "We are here on this Millennial Evening to celebrate the timeless power of poetry and poets as our American memory, our purveyor of insight, our eyes and ears who silence the white noise around us and express the very heart of what connects, plagues and makes us fully human," said First Lady Hillary Clinton in her welcome to the poets gathered in the White House East Room. 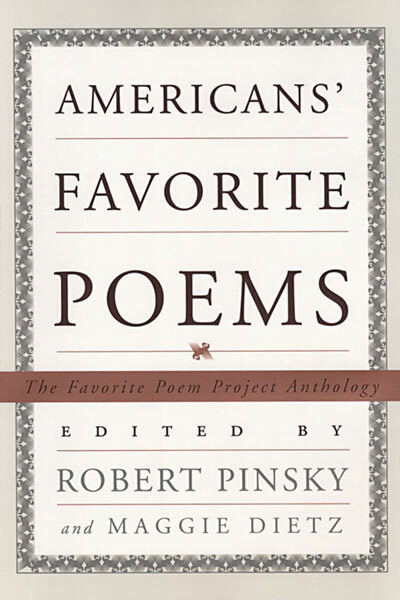 Pinsky, Hass, and Dove read works from great Amerian poets, including Walt Whitman, Emily Dickinson, Edward Arlington Robinson, Langston Hughes, and Wallace Stevens. "We are here to honor our ancestors in poetry," said Pinsky, "and to imagine ways that we can give the gift they gave to us to our children." President Clinton read works by Ralph Waldo Emerson and Octavio Paz. Four Americans - a minister, a war veteran, a teacher, and a junior-high school student - also read beloved poems. Earlier that day the First Lady accompanied Pinsky, Hass, and Dove to a poetry slam at E. Hayden Johnson Junior High School in southeast D.C. Students faced off with original poems that were judged "Olympic-style" by teachers and peers. Braving a torrential storm, more than 1,200 people packed New York City's Town Hall for the official launch of the Favorite Poem Project. The April 1 event featured readings by well-known artists, television and radio personalities and civic, religious and community leaders, as well as schoolchildren and an adult literacy student. The event was hosted by The Academy of the American Poets and sponsored by the New York Times advertising department. The day after the New York event, Robert Pinsky headed to D.C. for an event hosted by the Library of Congress, his Laureate home. Local poet David Gewanter gathered a wide range of Washingtonians to read favorite poems. When Gewanter walked into a police station and asked, "Does anyone here like poetry?" Sgt. Harry Hayes stepped forward. When he jumped in a cab inquiring, "Do you know any poems?" Mack McCoy said, "Sure I do." The event reflected the diversity of dwellers in our nation's capitol and included students, teachers, a neurologist, an engineer and a United States Senator. Twenty-five Bostonians—including the President of the Massachusetts State Senate, a homeless Boston resident and a third-grader—read favorite poems to a full house at the Boston Public Library on April 8. The Library President dressed in Western attire, complete with bolo tie and hat, to read a cowboy poem. Boston revealed some readers with special connection to poets, including Sylvia Plath's former teacher and the caretaker of the William Cullen Bryant Homestead. Readers recited poems in Spanish, Vietnamese and American Sign Language. The event was sponsored by the Boston Public Library, The Library of Congress and Boston University. Late in the month, Robert Pinsky visited middle America for the fourth Favorite Poem launch event. On April 25, St. Louis residents spent a Saturday afternoon at Washington University listening to their city's favorite poems. 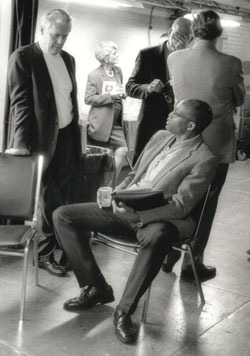 Local poet Carl Phillips succeeded in recruiting a variety of readers, including St. Louis Mayor Clarence Harmon, a cellist, and a local storyteller. 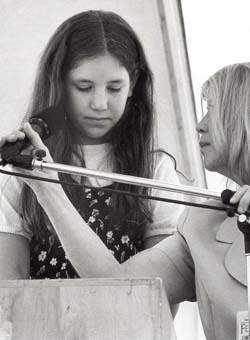 The event was sponsored by the Library of Congress and The Missouri Center for the Book. On a balmy California Sunday, hundreds of people gathered outdoors for the final Favorite Poem event during National Poetry Month. Many readers stepped up to the mike and shared their connections to specific poems—poems by Auden and Frost, Lorca and Langston Hughes. Local poet Carol Muske discovered a poetry lover in Mayor Richard Riordan, in actor Edward James Olmos, in a sitcom writer, a metal sculptor and a computer engineer. The reading, sponsored by The Los Angeles Times, The Library of Congress and the Los Angeles Public Library was among the most popular venues at the Los Angeles Times Festival of Books. Since then, Pinsky has toured the country and has participated in more than twenty Favorite Poem readings in places like Provincetown, Massachusetts; Oxford, Mississippi; Salina, Kansas; Hartford, Connecticut; and in Des Moines, Chicago, Miami, and Seattle. These events, which were open to the public, announced the project and invited Americans to participate. Each event has reflected the larger project: Americans from all walks of life-including school children and prominent civic figures-read aloud favorite poems, offering brief personal reflections about the poems. 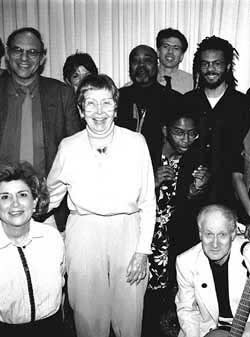 In New York, 60 Minutes co-host Ed Bradley, Geraldine Ferraro, Arthur Schlesinger, Jr., musician Suzanne Vega and TV-anchor Mike Wallace read poems alongside an adult-literacy student and high school kids from the Bronx. In Boston, a state senator read Andrew Marvell's "To His Coy Mistress," a homeless man read Robert Frost's "Nothing Gold Can Stay" and a teacher recited Langston Hughes' "My People" in American Sign Language. From these experiences, the project compiled suggestions to help organizations plan their own Favorite Poem readings. Since then, the project has facilitated nearly 1000 community reading events across the country-from Glendale, California, to Bettendorf, Iowa, from Anchorage to Albuquerque, in small-town libraries, big-city bookstores, elementary and high schools, and even birthday and anniversary parties. Questions or comments about the Favorite Poem Project or news of Favorite Poem events can be sent by post, phone, or by email. A partnership between Boston University, the Library of Congress, and other organizations, with original funding from the National Endowment for the Arts.